Nepal expresses itself in the most colourful form through its festivals. The celebrations here are organized on a spectacular level and your visit to Nepal almost will coincide with at least one of them. 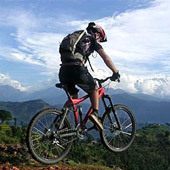 Such is the vibrance of Nepal that makes festivals an enticing attraction of visiting this country. Religion, tradition and social events all comprise the reason why festivals here are celebrated. Some festivals are celebrated here as processions, masked dances, chariot processions dedicated to demi-gods, etc. The year here starts with the festivals of Lhosar. It is celebrated to commemorate the Nepali New Year. Different communities in Nepal separate Lhosar differently on different days to celebrate their own new year. The three prominent lhosar festivals celebrated in this country include Talo, Sonam and Gyalbo. Maghe Sankranti on Jan 14 is another prominent festival of Nepal that celebrates the welcome of auspicious time after Pousha. People take dips in rivers and worship Sun God. These rituals are followed to purify the soul and gain the virtue as per belief. Special pujans are also conducted to offer thanks to god for nurturing and bestowing the region with good harvest. Martyrs Day, celebrated on Jan 29 every year commemorates the sacrifices of Nepali martyrs. It is a public holiday as well. Another consequent national holiday, National Democracy day is also celebrated with full fervour on Feb 18 annually. Next festival to be celebrated with excitement and aplomb is Shivaratri. Dedicated to the Pashupatinatha or Lord Shiva, this religious festival brings in devotees to pray inside the temple. Though the whole country celebrates the occasion with great enthusiasm, the festivities are generally centered at Pashupati complex. Fagu Purnima or the festival of colour is again a prominent festival of the land. During this festival, the natives of Nepal rejoice the onset of spring season and departure of winters. Ghode Jatra or horse procession is a cultural festival of Nepal. During this, the fine horses owned by the Nepalese Army are paraded. Celebrated in Kathmandu, the festival owes its origins to legends where a demon was buried and ran upon and trampled on by horses in great speed. It is believed that repeating the same every year is essential to curb the negative influences of demonic spirit. The graceful equestrians on the horses display their cavalry with fast horse rides along with palanquin processions, show-jumping, gymnastics and motorcycling feasts. Bikram Sambat is the official Nepali New Year day celebrated with the special Bisket Jatra procession. At Bhaktapur, the festivities are performed on a grand scale. 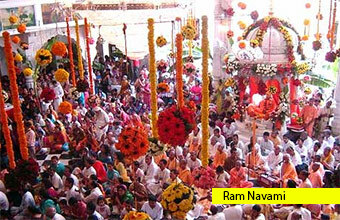 Ram Nawami is a religious Hindu festival celebrated to mark the incarnation of Lord Rama. Devotees fast and worship Lord Rama on this day. Tiji Festival in Lo Manthang-Mustang is a three day long Buddhist festival. During this, the lamas perform the anciently followed ceremony to chase demons from Lo Manthang. They annihilate the demons through chant prayers and religious dances. In between they are interrupted by masked demons who flap wooden swords at the frightened spectators. Buddha Jayanti is another prominent Buddhist festival that is celebrated with great excitement here. Buddha was born in Nepal and that makes the occasion even more sacred. On this full moon day, the Lord's birth, enlightenment, and salvation happened, making this day the most important in the life of Buddha. The center of attraction centers on Swayambhunath, Boudhanath Stupas and Lumbini, the site of Buddha’s birth. Shree Krishna Janmastami is another prominent Hindus festival dedicated to Lord Krishna. People remain awake at night performing religious dances and singing in the praise of the lord. Raksha bandhan is another famous occasion where the bond between brother and sister is celebrated on Sravan Poornima. Nepalese people enjoy this festival and cook special delicacy called "Kwati", a soup of sprout of seven different grains. 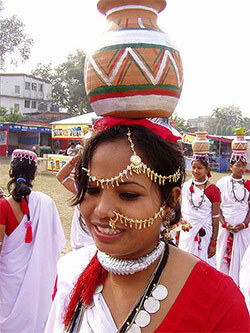 Teej is a women festival where married women fast to honor Lord Shiva and for long and healthy life of their husbands. The celebrations continue for three days where women perform traditional dances and sing songs. Indra Jatra is a week long traditional festival dedicated to the king of the heaven Indra. Lord Indra’s flag (Indradhoj) is hoisted at midnight and the Bhairavas deities are displayed in important public places. 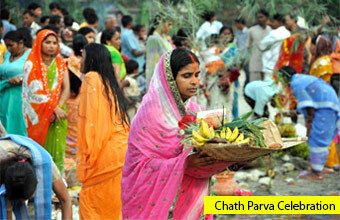 The festival is celebrated to ensure the rich harvest and thanking the lord for his blessings. Goddess Kumari witnesses the special procession from her chariot. Dasain is the longest and the most colourful festival of the country. For 13 days, the holidays are celebrated with the flying of kites, and cattle trade. On the tenth day of the festivities, the Dasami, people wear new clothes and honour their family elders. Overall, the festive time involves feasting, and family get togethers. Tihar, the festival of lights is the second prominent Hindu festival in Nepal. Stretched over five days, the festival celebrates lights and happiness in the life of every Nepali. Lakshmi, the goddess of wealth is worshipped during the period for prosperity in the families. People illuminate candles and lights to invite the goddess to bring in wealth in their families. The festival itself strings five festivals in a row. Chath Parva is celebrated to honour Sun God or Surya and thank him for sustaining life on earth. Celebrated for four days, the festival involves holy bathing, standing in the water for long time and worship Sun through offerings during sunrise and sunset, fasting and abstaining from drinking water (Vratta), and offering prasad (prayer offerings). Mani Rimdu is another three day long festival in Nepal celebrated by Sherpas and Tibetans. The festivities centre on recreation of legendary events and initiation of Buddhism in Tibet by Guru Rinpoche / Padmasambhava. The monastic Buddhist festival is celebrated through dance wherein symbolic demons are conquered. The festival features masked dances, plays, prayers and feasts. Bibah Panchami is a revered Hindu festival centering on the divine marriage of Lord Ram and Goddess Sita. Janakpur, the kingdom of Sita is located in Nepal, so that adds another dimension to this festival. The date is known to be the same when Lord Rama entered wedlock with Sita and vowed to be married and devoted to Sita only. We have all described the rich pantheon of festivals in Nepal. 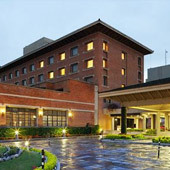 Besides festivities, these occasions also are a great time to discover the country in festive fervour. 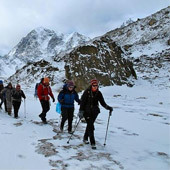 Want to know more about booking a festival tour to Nepal, contact our team of experts.